Abstract - The applicable of ICT is not only a competitive advantage for manufacturers and service providers, but it also as a requirement for any organization was reflected. This is a matter of health services, not only to improve service quality to reduced service time which will be impressive, But also affect the patient's health fair distribution of services by mobile equipment’s are remarkable as well. For all new technologies, the advantages of mobile equipment that is successfully reaches its peak when the health have been made implementation, maintenance and development. In this article, we discuss the optimal role of intelligent decision support systems to improve and control iron deficiency anemia in identifying and reducing medical errors And oblivion covered by the patient in a timely manner, such as appointments system which is plays a role, that can help to quality health services and in many cases lead to better and more effective communication between doctors and patients, Reduce error rates, saving time, reducing the cost of treatment and reduce the length of treatment. Abstract - Industrial Communication network Protocols are ues to exchange the information between an industrial control system and field instruments.These Communication network Protocols different from domestic and commercial networks because they have different internal and operational requriments.Although the operation and functional characteristics of industrial and conventional networks are different,but there exist a stong relationship between them.There is a great similarity between the development of standards of industrial and conventional network protocols.The uper level hierarchy of both industrial and conventional network is same that’s why the engineer involved to develop the best industrial network communication protocols by researching the conventional network and their architecture.This document emphsis characteristics differences between conventional and industrial network protocols like Profibus, Industrial Ethernet, Modbus RTU/ASCII CAN open, Device Net, Control Net, Foundation Field bus and ASI etc. The main goal of the paper is to give comparative analysis of architecture and development standards commonly used industrial communication network protocols. Abstract - This paper presents a review of the latest mobile health applications based on Internet of Things that are used for diabetes management. Diabetes is a group of metabolic diseases in which there are high blood sugar levels over a prolonged period. Long-term diabetes care requires involvement from patients as well as doctors and family caregivers. With rapid advancements in wireless and web technologies, a number of applications based on Internet of Things have been proposed for management of diabetes. Most of these applications focus on patient monitoring and technology-based decision making. We analyze the working and underlying architecture of these latest applications and discuss the major issues and challenges faced by them. The main objective of this paper is to help researchers in designing advanced applications for diabetes management. 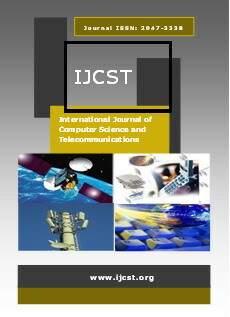 Abstract - TCP is the most extensively used protocol for trustworthy communication. New TCP variants are studied and proposed by researchers, due to its extensive need, making an attempt to boosts its behavior towards congestion to form it use the foremost on the market information measure whereas conserving a logical level of fairness towards different protocols. Evaluation and Comparison of the performance of foremost recent TCP deployed in general OS, is main objective of this paper. We fastidiously compare the TCP variants to analyze them on the basis of different parameters like, ThroughPut, Fairness (intra-, inter), RTT Fairness, Algrothims, BandWidth and LossRatio. Investigation shows that if the buffer size (No. of Packets) is small then ThroughPut will be lower. However, protocols act in a different way, where they attain different values with awfully little variations. Three TCP variants CUBIC, Compound and NewReno are fair to additional TCP transportation and deliver the identical intra fairness above wireless links. Abstract - The development of wireless access technologies such as 3G/4G, mobile devices and sensors are now used as information collection nodes for the cloud which offers immense benefit for mobile users. Federating cloud service providers and caching frequently accessed data drive an effective way to seamlessly access and managed data in mobile cloud computing environment thereby overcoming server failover, frequent disconnection of database server, lock-in by single service provider and data location management issues. However, privacy and the security of mobile users’ data remain the challenges that outweigh the colossal success factor of a federated data Management in Mobile Cloud Computing. This is owing to the fact that data are hosted on public clouds owned by commercial service providers. Thus, new data management techniques are required. This review: (a) highlight the current works proposed for data management techniques in mobile cloud computing, (b) security of data stored in the cloud, and (c) data verifiability and the limitation of the proposed frameworks.